Settler’s Creek is located on the east side of Keystone Resort off of East Independence Road. 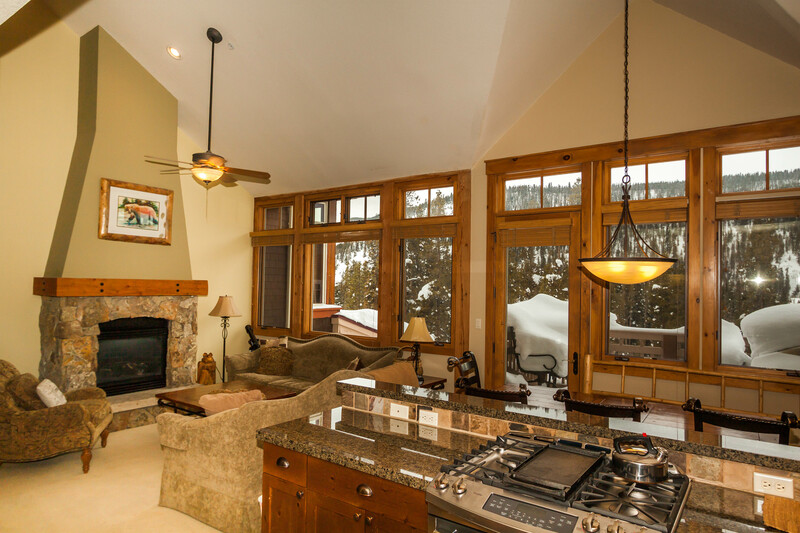 This complex offers a quiet mountain getaway and many amenities with easy access to the rest of the resort. 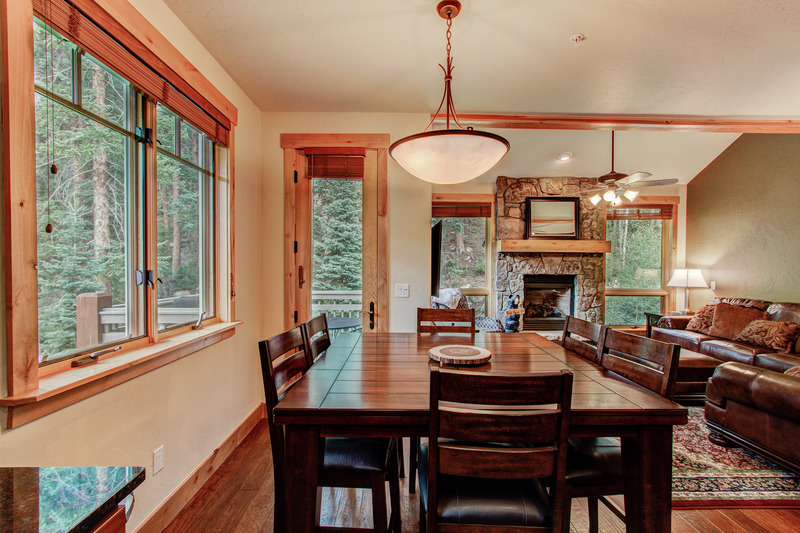 The always popular Minnie’s Cabin is a favorite among residents and vacation-goers alike. It’s centrally located within the complex with an outdoor, heated pool and two hot tubs. Also outside is a grill area with seating and a beautiful two-way fireplace. Inside guests will find a large flat screen TV, a pool table and the other side of the fireplace mentioned above. Turn on the game, fire up the grill and enjoy some quality time with family and friends. Snake River runs north of the complex and the bike path is just on the other side of Montezuma Road. Two shuttle stops are conveniently located within the complex and can take guests anywhere in the resort. Enjoy the tranquil mountain setting of East Keystone. Away from the crowds guests can experience peaceful surroundings and catch a glimpse of local wildlife. The nearby Ski Tip Lodge is a quaint little bed and breakfast that features a fine dining restaurant with rave reviews. You’re just a five to seven-minute walk away from some of the best food the resort has to offer. Snake River runs north of the complex where guests can take advantage of some fishing or enjoy the scenic views. 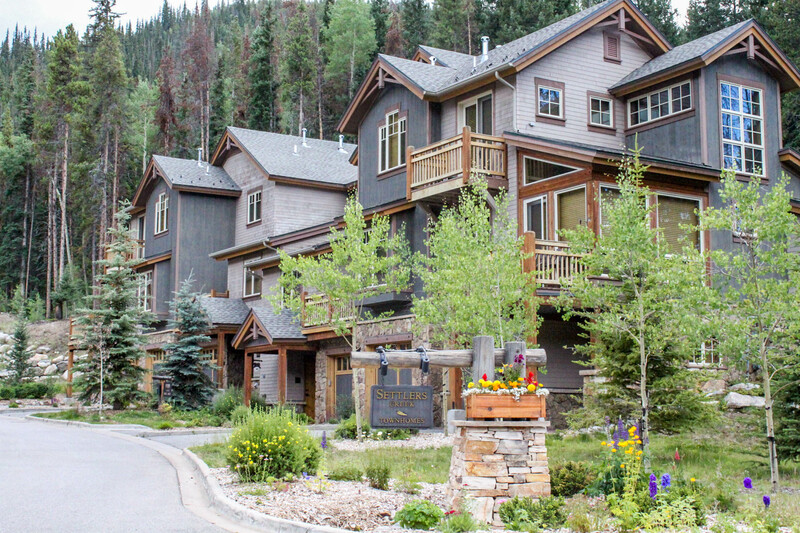 The bike path is a four-minute walk north of the complex just across Montezuma Road and runs throughout the entire resort and Summit County. The rest of the resort is a short drive or shuttle ride away where you can enjoy skiing, snowboarding, ice skating, hockey, paddleboating, canoeing, tubing and gondola rides. Drive to River Run Village in four minutes, the Mountain House Base Area in six minutes and Lakeside Village in less than seven minutes. The resort shuttle can take guests to many nearby activities including hockey, sleigh rides, paddleboating, canoeing and golf. Visit our Discounts page for more information on how to save when planning your stay. In this spacious and luxurious townhouse you'll find granite countertops, new stainless steel appliances, private laundry and a private garage. The large deck offers beautiful mountain views. In this spacious and luxurious townhouse you'll find granite countertops, stainless steel appliances, private laundry and a private garage. There are two private decks with beautiful views.